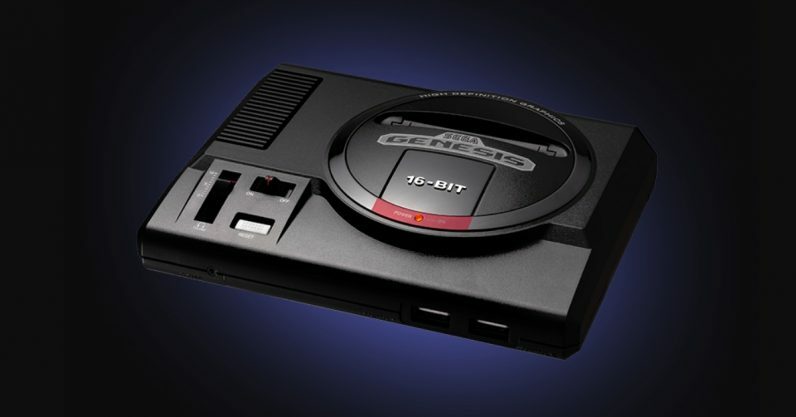 SEGA's Genesis Mini arrives late to the party -- are we still entertained? SEGA finally revealed the official release date of the Genesis Mini, its answer to the craze of fun-sized retro consoles that peaked last year. As cool as it’ll be to see the return of one of gaming‘s most golden of oldies, SEGA may have missed the boat on this fad — and now we get to see if gamers actually want to buy a retro console that doesn’t have “Nintendo” emblazoned on it. The iconic SEGA Genesis returns September 19, 2019, with our lovingly crafted SEGA Genesis Mini for $79.99! We’ve known about the Genesis Mini — which is called the Mega Drive Mini in non-US markets — for almost a year. At the time it was revealed, all we really knew about it was that it was in the works — then everything went quiet between now and then. It didn’t help that the original reveal was overshadowed by lingering fan animosity over a similar console, the flawed Genesis Flashback HD. From what we can tell, it ticks all the “retro console boxes” — it’s plug-and-play out of the box, it’s a shrunken version of the original machine, and it comes pre-loaded with several of the games most associated with it. It’ll have 40 games, though it’s only revealed 10 of them so far. No surprise to see Sonic the Hedgehog on the list, as well as Castlevania: Bloodlines and Ecco the Dolphin. The console was originally slated for release last year, in conjunction with the original Genesis’s 30th anniversary, but it was delayed for quality reasons. Had it come out at the time, it probably would have been part of the same retro-console craze as the NES and SNES Classics. As it is, the fever those consoles created has cooled somewhat — so now’s the time we’ll get to see if the market for them remains. As great as those consoles did, sales-wise, there was always the chance their main source of appeal was the Nintendo name and its associated franchises. So far, we’ve not had a great point of comparison. The only major retro console released other than the NES and SNES is the PlayStation Classic, which went over like a lead balloon. That console’s major problem was that it came with fewer games than the former two, and yet was more expensive, so it’s hard to say whether the market rejected it because they didn’t want more retro consoles, or because they were insulted. We also saw the release of the C64 Mini, but that came to the market with all the fanfare of a midday nap. Considering the rumors that Nintendo is developing more flashback devices have been dubious at best, any ones made by other companies after this point probably can’t rely on that rising tide to lift their boats. Sure, the SEGA Genesis OGs out there will probably snap the Mini up, but what about everyone else? That console is 30 years old: there’s an entire generation of adult gamers born after the Genesis was released. How strong is general curiosity about the past, when coupled with SEGA’s name recognition? If the Genesis Mini is heralding the next wave of retro consoles, it might have at least some company: Atari is supposedly going to release its VCS mini console some time this year. That console currently costs over twice as much as the Genesis Mini, but will allegedly include several features other consoles notably lack, such as the ability to play new games as well as old classics. I’d be curious to see which one cuts the most ice with gamers. The Genesis Mini comes out on September 19, and will cost $79.99. You can pre-order it from SEGA’s site.